Our First Communion celebrants this spring will be communed by Bishop James Dunlop of the Lower Susquehanna Synod, ELCA, who will be joining us for worship on Sunday May 5th. 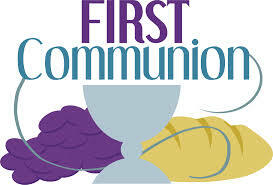 Our First Communion class will be offered for two weeks before that: Tuesday April 23rd and Tuesday April 30th, both at 6:30 PM. Students and their guardians only have to attend ONE class time; contact the church office, one of the pastors, or sign up on the sheet posted in the back of the sanctuary!